Oily skin shouldn’t prevent you from achieving a radiant, glowing complexion. At Colorescience, we offer a variety of products designed to make your skin glow—without the pore-clogging effects of greasy foundation. Choose us as your source for nourishing skin-friendly makeup. Find foundation for oily skin and get that matte look you desire with ease. What kind of foundation works best for oily skin? If you suffer from oily skin, you’re not alone. Thousands of people deal with oily shine and breakouts, but it’s possible to manage this obstacle by using skin-friendly makeup and specialized foundation for oily skin. Depending on the source of your oily skin, you may want to try different products. Typically, the easiest products to apply is a makeup powder for oily skin. 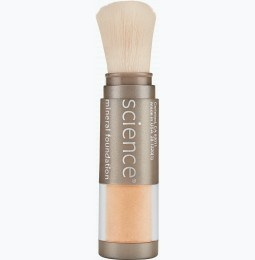 Our Pressed Mineral Foundation Compact is the perfect mineral powder for an oily face. 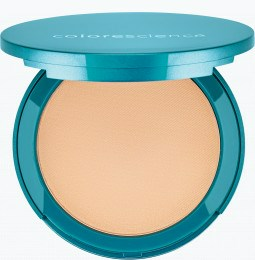 It provides light breathable coverage that won’t clog pores with excess oil. Unlike other foundations, this powder isn’t cakey and incorporates vitamins to keep skin healthy. 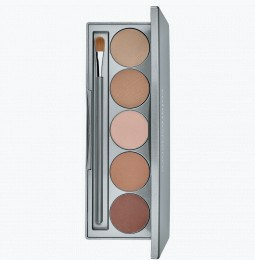 We also offer brush-on makeup foundation. If you have trouble keeping your skin acne-free under those oily sunscreens, mineral cosmetics for oily skin is perfect for you. We also offer a primer for oily faces; combine with perfect pressed mineral foundation if you prefer the full coverage of healthy mineral foundation. How should I wash my makeup brushes? Every day your brushes accumulate dirt, debris, and dead skin cells from your face, vanity, and makeup bag. This means that every day you’re applying more bacteria to your face, and increasing the likelihood that it will combine with the oil in your pores. Wash makeup brushes to keep your skin from breaking out. Simply rinse your brushes under lukewarm water and gently brush of makeup on the bristles. Then, fill a shallow bowl with water and baby shampoo, and swirl the brushes in the water. Rinse the brushes until the water runs clean. Beat the oily skin blues with one of our foundations suited for your skin. Our experts have created formulas designed to prevent irritation, so you can say goodbye to those old greasy formulas and say hello to Colorescience’s mess-free foundation for oily skin.